Aaron Rodgers led the Packers offense, but the Green Bay defense made big plays when they needed it most, which led to a 31-25 victory in Super Bowl XLV over the Pittsburgh Steelers. This was the fourth Super Bowl win in Green Bay history, but their first since 1997. After battling injuries all season, and a few more during the Super Bowl, Green Bay overcame all the adversity to become only the second number six seed to end up Super Bowl Champions. 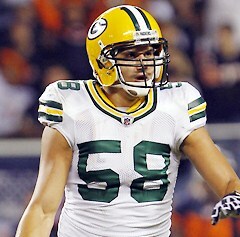 The Packers struck first when Aaron Rodgers drove his team 80 yards down field for a TD. Rodgers was 5-6 for 63 yards during the drive, and James Starks added 3 runs for 17 yards. On the next Steelers possession, Ben Roethlisberger dropped back to pass from his own endzone, and was hit in the arm by backup nose tackle Howard Green, which caused the pass to flutter and come up short. This was the first big defensive play of the game, and it allowed free safety Nick Collins to step in front of receiver Mike Wallace for an easy interception. The play continued as Collins returned the interception 37 yards for a TD. This was the 13th time an intercepted pass was returned for a TD during a Super Bowl. Each team that has done so previously has ended up winning (10-0), and this may have been a little foreshadowing of the eventual outcome of this game. The interception return gave Green Bay a 14-0 lead at the end of the first quarter. As the second quarter started, Roethlisberger and the Steelers had moved the ball 42 yard and had the ball first and ten on the Packer 22 yard line. The Packer defense made three big plays to prevent another first down and hold the Steelers to a field goal. With 4:35 to go before halftime, and Pittsburgh making another drive down field, the Packer defense made another big play. Roethlisberger was targeting Mike Wallace on a short pass up the middle when cornerback Jarrett Bush read Roethlisberger’s eyes and came off his initial coverage to step in front of Wallace and steal the ball for the second Green Bay interception of the game. Four plays and 53 yards later, the Packers scored their second offensive TD and led 21-3. The Packers defense could not stop the Steelers next drive as Hines Ward had 3 catches for 39 yards and a TD just before halftime. Going into the half, Green Bay led 21-10. The Packers offense couldn’t get anything going the entire third quarter, as they amassed a total of 16 net yards in 13 plays, and had to punt on all four possessions. Meanwhile, Pittsburgh scored on their first possession of the second half and were down just 4 points with 10:19 still left in the third quarter. The Steelers were driving on their second possession of the half until the Packers defense again stepped up with some big plays. 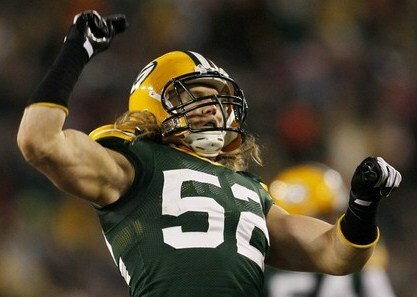 First and 10 on the Packers 29, Clay Matthews knocks a Roethlisberger pass down in the backfield. On third down, Roethlisberger was sacked by rookie outside linebacker Frank Zombo, and the drive ended in a missed 52 yard field goal. Green Bay still led Pittsburgh 21-17 at the end of the third quarter. On the very first play of the fourth quarter, the Packers defense made another big play. Pittsburgh had the ball, 2nd and 2 on the Green Bay 33 yard line. Roethlisberger handed the ball to Rashard Mendenhall, who was hit behind the line of scrimmage by Clay Matthews, causing a fumble and the third turnover of the game for Pittsburgh. Mendenhall had only fumbled 2 times in 324 carries during the regular season. This play was huge because it prevented Pittsburgh from scoring, and potentially taking their first lead of the game. The Packers and the Steelers exchanged TD’s after the fumble, and with 7:34 left in the game, Green Bay was holding on to a slim lead 28-25. The Packers drove the ball to the Steelers 5, but only came away with a field goal. This provided an opportunity for Roethlisberger and the Steelers, down by 6, to attempt a game winning drive with 1:59 remaining in regulation. 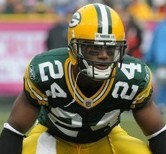 The Super Bowl Championship came down to the Packers defense, and whether they could stop the Steelers one more time. Fortunately, the Steelers looked a little confused during their drive, and on 4th and 5 from their own 33, Tramon Williams broke up a pass intended for Mike Wallace, and the ball was turned over to the Packers on downs. The Green Bay defense came up with one final big play which ended the season for the Pittsburgh Steelers. 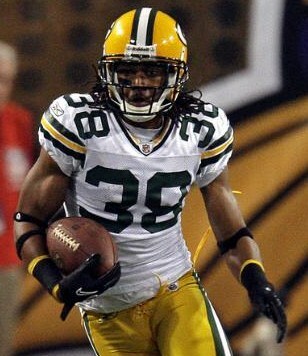 Aaron Rodgers only had to down the ball twice and the Packers ended up winning Super Bowl XLV 31-25. All in all, the Steelers dominated the game statistically, but the Packers big play defense and ability to create turnovers, led to enough points that Pittsburgh couldn’t overcome the difference. Pittsburgh had more first downs, 76 more rushing yards, more total yards, more sacks, fewer penalties, better third down efficiency, better red zone efficiency, better goal to go efficiency, a better completion ratio, and had the ball 6:50 longer than Green Bay. However, Troy Polamalu (NFL Defensive Player of the Year) and the rest of the Steelers defense did not show up in the Super Bowl, and did not generate one Green Bay turnover. Pittsburgh came into the Super Bowl with a defense that allowed 14.5 points per game, ranking them best in the NFL. They gave up more points in Super Bowl XLV than any other game all year, except for the game on November 14th when they gave up 39 against the Patriots. They were ranked second in the NFL in yards allowed (276.8), but gave up 354 yards to the Packers, 304 of them passing yards. Aaron Rodgers was 24-39, with 3 TD’s, and Jordy Nelson had 9 catches for 140 yards and a TD, but it was the team defense of the Packers that came up with big plays on at least six of the Pittsburgh drives. Ironically the Packers ended up winning Super Bowl XLV by 6 points, which was exactly how many points their defense scored. ~ by Troy Erickson Realtor on February 9, 2011.